The son of prolific Yorkshire opener Richard Lumb, Michael was born in South Africa and made his way through the junior teams in Transvaal before returning to his roots to play for Yorkshire. A hard-hitting batsman, he made his county debut in 2000, scoring 66 not out against the touring Zimbabweans. A knee injury in 2001 meant that he played only a small part in Yorkshire's success in winning the county championship that year, although he did record a maiden first-class hundred against Leicestershire. In doing so he became part of only the fourth father and son pair to score centuries for Yorkshire. 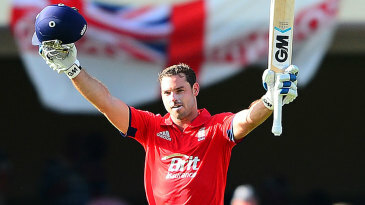 Find Michael Lumb profile and stats of batting, bowling and fielding including latest updated news of Michael Lumb, videos and images at Hamariweb.com. Also find detail Player profile and career statistics of Michael Lumb of England. 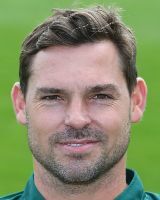 Michael Lumb - Find Michael Lumb of England Cricket Team complete player profile, number of matches, runs score, wickets & catches, Statistics, Records, Michael Lumb Latest News, Michael Lumb Videos, Michael Lumb Photos, and other Michael Lumb Cricket Team players.